I was born in Des Moines, Iowa in 1949 where I was raised by foxes. I attended Valley High School in West Des Moines Iowa. In high school I spent a summer at Northwestern University and one at the University of Iowa studying speech and computers. I competed in debate and extemporaneous speaking in high school and my debate partner, Buddha, and I were state champions. I attended Southern Methodist University as a physics major with interests in cosmology and paraphysics and with a minor in Eastern Religion. Later I attended the Univesity of Iowa with majors in physics (astrophysics), mathematics, dance, and Japanese at different times. I also attended MIT one summer to study digital sound synthesis and have taught microprocessor programming at Peralta College in the `Glorious People's Republic of Berkeley', later properly renamed the `Soviet Socialist Republic of Berkeley'. I have over forty years of experience programming computers, and have provided consulting services to large and small companies over the years. I have worked with small companies building innovative new products and have worked for Bank of America and Pacific Bell consulting on a wide range of their problems. I have worked with embedded systems, micros, minis, mainframes and a wide range of operating systems and programming languages. I have worked with the Forth the programming language on various projects since I moved to California in 1978. I have written multiplayer 3D interative games, multimedia applications, expert systems, and of course many assemblers, editors, compilers, simulators, and various utility programs, as well as porting application programs in Forth. I have worked with Chuck Moore since 1990 and he laid out the UltraTechnology F21 chip. I have done chip simulations for Chuck Moore's proposed designs and used his OKAD VLSI CAD program to review and run simulated tests on various chips that he has designed. 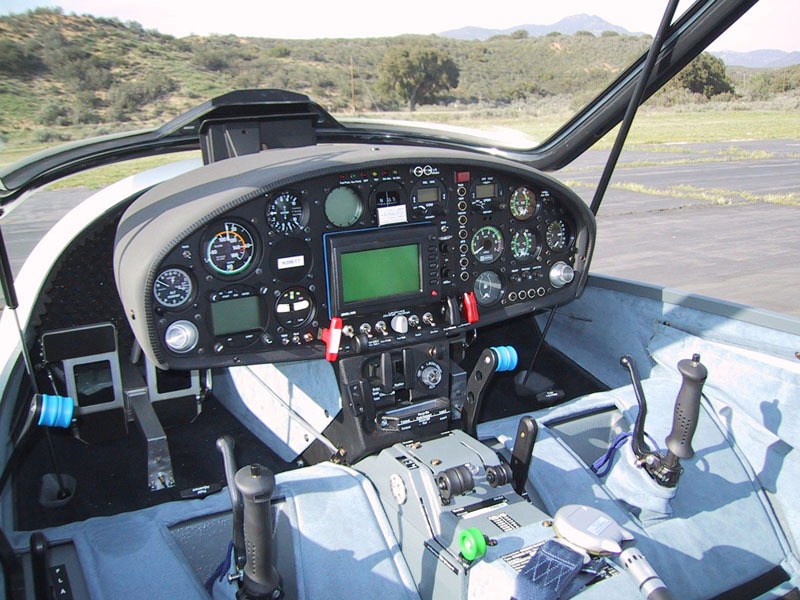 I have done expert systems, operating systems, compilers, simulators, Emulators, GUI software and tools. In 1995 I became the first employee and later the director of software at the iTV Corporation and am the owner and operator of UltraTechnology and this UltraTechnology web site. Ultra Technology owns the marketing rights to the F21 Computer. It is a design that can be manufactured in relatively low quantity for about $1 per chip today (2001) in 500 MIP .8u outside of the US. We have .18u prototype fabrication available today and estimate over 2500 MIPS per CPU and ~1ns memory access w/ 40-50Ghz echo timer etc. in that process. Mr. Moore's tiled design approach to CAD makes the design scale to new processes easily. 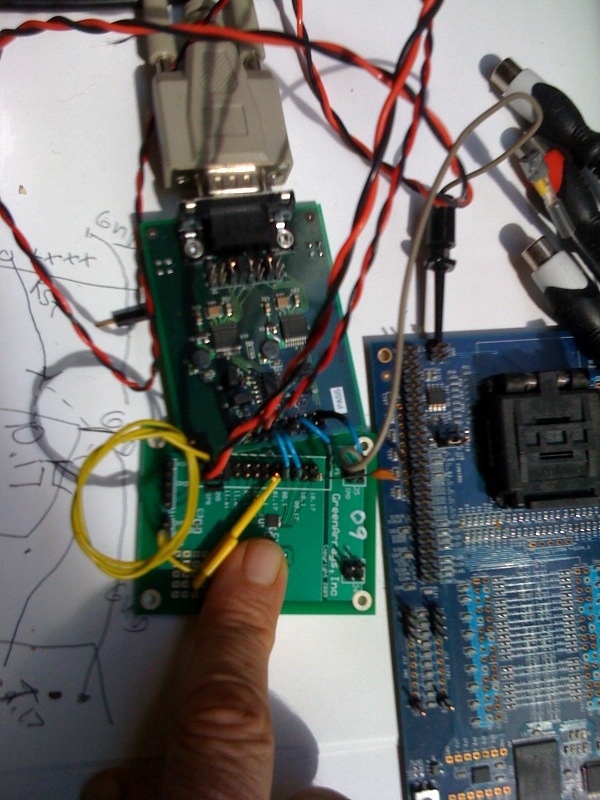 RGB video output, serial - network coprocessor, parallel port, real time clock, 68 pins, 15ma, ~$1 manufacture cost. F21 is a Low Fat Computer or MISC (Minimal Instruction Set Computer) designed by Chuck Moore. the inventor of Forth. F21 combines a 500mip Forth Engine CPU in .8u with two very high speed analog I/O processors for multimedia, and with a very high speed serial network interface for symetric multiprocessing and a parallel port and real time clock on a single inexpensive chip. The F21 chip is remarkably simple, low power, low cost like the chips used in consumer devices but is also very high speed like the chips used in PCs and workstations. The F21 is designed for consumer grade multimedia applications, and certain types of parallel processing applications including expert systems, robotics, virtual reality, language and image processing. I many ways F21 is a sort of toy workstation on a chip, but it is only a toy in sense that it can be cheap enough for toys since it can be manufactured in low volume today (2001) for about $1. My favorite operation in mathematics has always been cancelation. I believe that an application of George Spencer Brown's Laws of Form can provide an incredible shortcut to computation logic and synthetic intelligence in machines. I propose to the use of a system of logic where odd numbers are true and even numbers are false so common sense logical shortcuts can be easily computed and where paradoxical problems and those with extistential import can be easily handled. Compared to traditional computation approaches to many problems in Artiticial Intelligence it is clear that there are many orders of magnitude of performance that can be gained by using this odd/even true/false algorithm instead of the 0 is false and everything else is true mathematical representation. In the appendix of Brown's book there is a logic proof that a similar comparison on a formal mathematical problem yields a 40,000/1 reduction in "mathematical noise." I wrote a paper a few years ago called Forth Meets Laws of Form that is at this site. Forth has been used in AI with great sucess. Forth can do LISP and Prolog and provide a close to the metal platform for AI software. Expert systems can capture the knowledge of human experts in a set of rules. The rules may be expressed in English or other human languages and compiled directly into rule trees that also compiler directly into executable code on our simple stack machines. This is explained very well by Dr. Philip Koopman in his excellent online book on the design of stack computers, STACK COMPUTERS the new wave and in particular section 7.2.3. explains why a simple but state of the art chip like F21 which is specialized to do this can be about as fast as the most expensive microprocessors at this. By only putting in what we need to do this rather than more general purpose and floating point type computations into our design we have come up with a design which offers orders of magnitude improvement in the price performance ratio. We have 1000 times fewer transistors, 1000 times lower manufaturing cost, 1000 times lower power consumption, and designs that are 1000 times easier to understand so are much easier to program and better for education than conventional computer designs. We have also demonstrated examples of low fat software and 1X Forth. I have detailed my opinion that ANSI Forth is ANTI Forth as it just extends Forth towards conventional computing and provides a brittle crystaline image of vibrant living language. I wrote an essay on low fat computing that was noticed by Netscape when the selected my site Netscape Open Directory #1 Cool Site on Forth in December of 98. I wrote a long essay on Forth in 1999. I have done a series of MachineForth tutorials on video in addition to making available the transcripts and videos of Chuck's presentations on these ideas. I wrote a short essay about the Forth Methodology of Chuck Moore at the end of 2001 and a slightly longer essay on Levels of code in Forth programming inspired by Chuck Moore's comments in a chat room in May 2002. I have an article in the Free Software Magazine May 2002 issue about my experience with Multiple Large stack Zero Operand architecture computers and the Forth programming language. In 2004 I was hired to work with Chuck Moore on a new generation of parallel Forth chips. Async Array Devices became IntellaSys and developed the Scalable Embedded Array Forth chips; the SEA24 and SEA40. I worked in okad2 on design testing and wrote VentureForth, an ANS Forth based system, for IntellaSys. IntellaSys laid off most everyone in January of 2009. In 2009 I began working with Chuck Moore again at Green Array Chips Inc. I worked on ROM code and design testing in colorforth. The first chips developed were GA32, GA40, GA4, and the GA144 with 144 Forth processors. Picture of GA4 and GA32 on different boards. 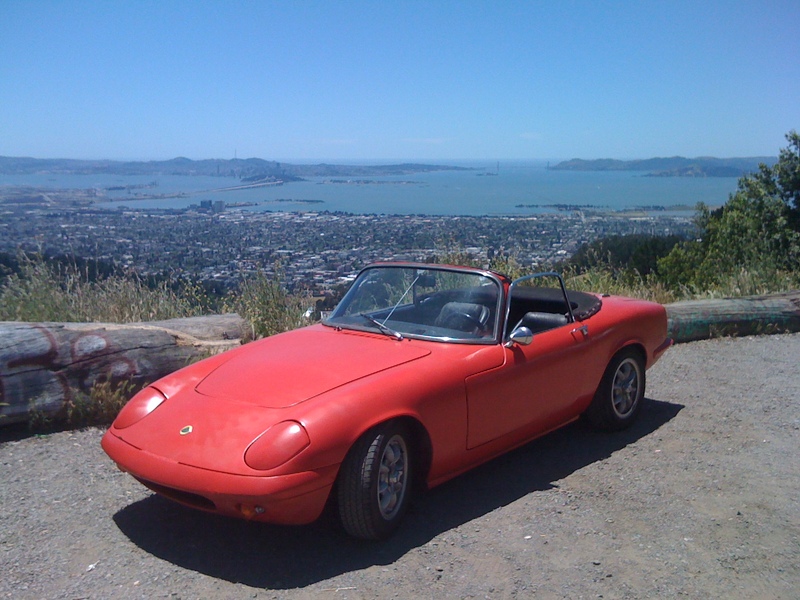 I own a 1967 Lotus Elan Drophead Coupe and have enjoyed Golden Gate Lotus Club events and Track Days at Sear's Point and Laguna Seca Raceways. 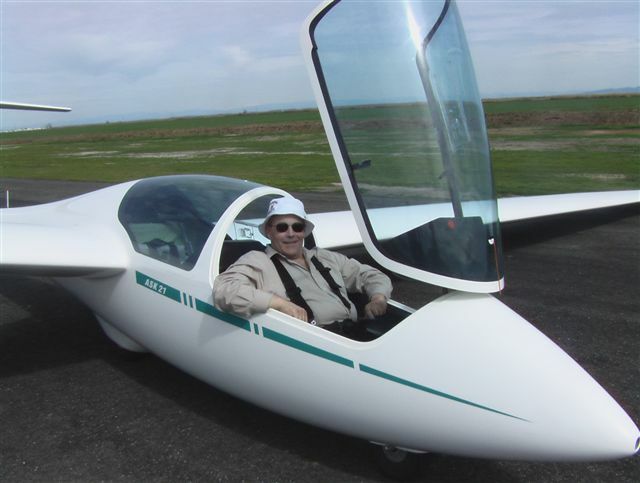 I have become a sailplane pilot and enthusiast. I find Martin Hellman's Soaring Photos taken on his Stemme adventures quite inspiring.